Starting up a new business can be very exciting. Along with all that excitement are expenses and start up costs that come with it. Apart from the products and services you are going to offer, there are many other aspects of starting a business that you might not think about that may need to fit into the equation for your success. For certain, there will be printed necessities needed and WNY Print can provide you with nearly any type of printing solution to help you start or run any business. We have the capabilities to provide you with any printing needed for the daily operation of your business. For the internal to production part of your business, we can print everything from labels, components, products, letterheads, NCR forms, signs and more to printing solutions needed to help you market and promote your business like business cards, banners, postcards or t-shirts. If the need arises, we can even do trade show booths! Whatever it may be, WNY Print has you printed! Whether you are starting a new venture or planning on giving your existing company a breath of new life with a complete redesign, we know that cost is, and always will be a factor and strict budgeting is a necessity. For your convenience, WNY Print has developed several cost effective printing packages that meet varying price points to help you get started on your new business venture or assist you with your redesign plans on time and on budget. If the print packages below aren't suitable for your plans, no problem! We would be happy to schedule a time to come and sit down with you to discuss a winning combination of printing solutions to help you reach your goals. 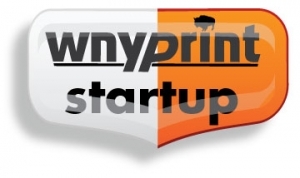 The Startup Print Business Packages from WNY Print are our entry level printing packages. These basic packages provide the budget conscious entrepreneur with the core essentials to start or rebrand their business at a minimal cost. All printing packages listed above includes basic design. Depending on the complexity of your artwork, additional design charges may apply. All Startup Print Business Packages from WNY Print require a 50% deposit and 50% on delivery. All listed prices do not include tax or delivery if applicable. The Deluxe Print Business Packages from WNY Print are our intermediate level printing packages. All of the packages within this group provide the core essentials to start or re-brand a business and include fundamental marketing materials for self promotion while maintaining a moderate budget. All Deluxe Print Business Packages from WNY Print require a 50% deposit and 50% on delivery. 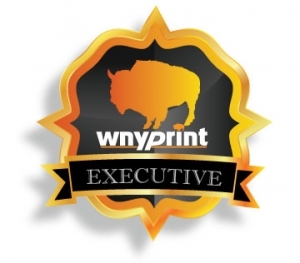 The Executive Print Business Packages from WNY Print are our professional level packages. These assortments were developed by WNY Print for companies with a robust startup or rebranding budget. Accompanied with the core essentials, these packages include a wider range of marketing materials and give-aways that can be used to promote grand openings, exclusive events and more. All Executive Print Business Packages from WNY Print require a 50% deposit and 50% on delivery. 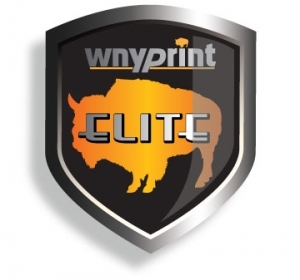 The Elite Print Business Packages from WNY Print are our premier level printing packages. These packages were developed for the company ready to make an exceptional impact in their industry when starting up or re-branding. Everything in our Elite packages has been upgraded. Make a lasting first impression with high end plastic business cards and postcards, premium linen letterheads and envelopes, thicker flyers and more. Also included is an impressive collection of marketing materials to ensure your business is promoted properly. All Elite Print Business Packages from WNY Print require a 50% deposit and 50% on delivery.